The two leaders also discussed the situation in Donbas. 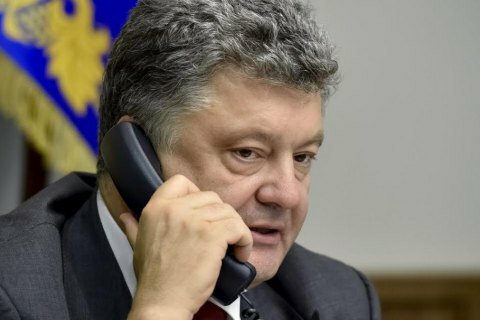 Ukrainian President Petro Poroshenko and German Federal Chancellor Angela Merkel have discussed over the phone the security situation in Donbas. Poroshenko emphasised the necessity of full cease-fire by Russian militants and liberation of all hostages, his press service has said. He also addressed Angela Merkel with request to accept the deputy head of the Crimean Tatar self-styled government Mejlis, Ilmi Umerov, for rehabilitation in Germany. The parties agreed to continue to coordinate efforts aimed at making sure that Moscow fulfils the security conditions of the Minsk agreements and stops its aggression against Ukraine.